In the service area of the HSDPA/UMTS/EDGE/GPRS/GSM network, you can browse Internet, send/receive messages/emails and voice connections. The E1550 is fast, reliable, and easy to operate. Thus, mobile users can enjoy many new features and services with the E1550. These features and services can enable a large number of users to use the E1550 and increase the Average Revenue Per User (ARPU) of operators substantially. 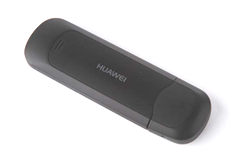 You can find here some useful descriptions for Huawei Dongle unlocking. I tried and worked at first place! my net setter is not working in window xp 2. actually not display of the software of net setter plz tell me what to do?